In the top picture you see half the scarf. The bottom picture shows a detail. I first dyed this scarf in indigo, which left a lot of white silk - not too interesting! I then did a "rubbing" of an object I'd picked up at a hardware store. 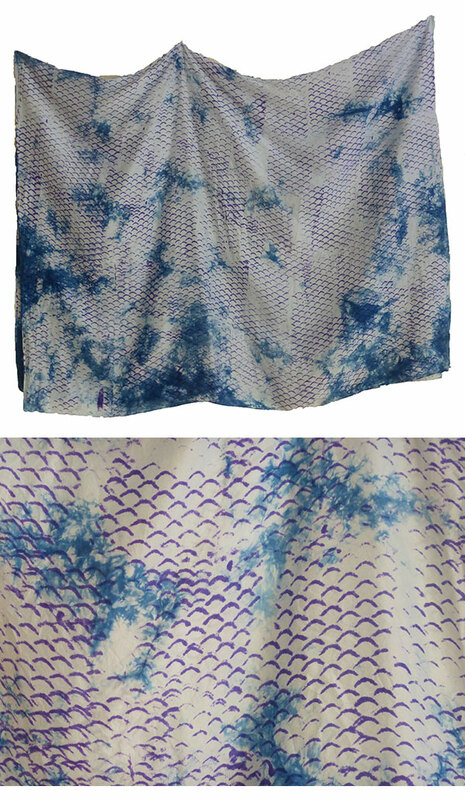 It's a metal mesh which makes a print that's always put me in mind of fish scales. The result is a scarf that can be casual or dressy.